APTET Hall Ticket 2018: APTET is the short form of Andhra Pradesh Teacher Eligibility Test which is organized by the Department of School Education, Government of Andhra Pradesh on annual basis. Now, APTET Hall Ticket is available for APTET June Exam 2018. So, candidates who are going to appear in APTET 2018 may download their APTET Admit Card simply from this page. Department of School Education, Government of Andhra Pradesh has decided that this year, APTET Exam will be organized in June 2018 from 10-06-2018 onwards till 19-06-2018 in all 13 Districts of the State through a Computer Based Test. Candidates who want to become primary/secondary grade school teachers at government schools of AP need to qualify APTET Examination. After clearing APTET 2018 Examination with sufficient marks, qualified candidates will get jobs in the municipality, Zilla Parishad, Mandal Parishad, private aided schools and private unaided schools in the state of Andhra Pradesh. Check APTET Exam Date 2018 from here. After reaching to home page you need to follow “Download Hall Ticket” and press on “Download” link to get Andhra Pradesh TET Admit Card. Within few seconds, a page will appear where you are required to enter APTET login details for APTET Admit Card 2018. After submitting the asked details your AP TET Exam Hall Ticket will appear. Check the details printed on APTET Exam Hall Ticket. At last, download APTET Hall Ticket and take the hard copy of APTET Admit Card as it necessary to carry at the time examination. Don’t forget to bring APTET Call Letter at the time of examination. Roll Number or Registration Number. 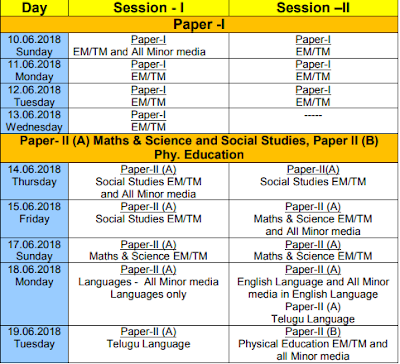 Andhra Pradesh TET Exam Date & Timings. Exam centre Code & Address Details. Important Instructions for the AP TET Exam. On this page, we have displayed complete details about APTET Hall Ticket 2018 you can go through this page completely or you can download APTET 2018 Hall Ticket directly by pressing on provided Official Link. For any query regarding APTET Hall Ticket details given above then ask in below given comment box. We will try to solve your query regarding APTET Admit Card as soon as possible.